Get Lucky Casino was launched in April 2015 and have become a great brand for casino players from the English speaking parts of the world (UK, Ireland, Australia, Canada) although they do accept players that are residing in other countries too. Get Lucky Casino is the perfect choice for online casino players that enjoy playing the latest and most advanced video slot machines that are supported on all types of digital devices such as desktops, mobiles and tablet devices. The collection of games that you will gain access to at Get Lucky Casino is simply astonishing; more than 600 games that cover all different types of casino wagers like table games, card games, video poker, live dealer casino and video slots (more than 500 video slots actually!). The casino games are provided by the top casino creators including NetEnt, Microgaming, Playtech, Play n’GO, Betsoft, WMS, Thunderkick, Yggdrasil and Quickspin. The live dealer casino platform is provided by Evolution Gaming. Get Lucky Casino is a very user-friendly casino. The web site have a simple but very neat design where visitors easily can locate any information they might require. The casino games lobby have a very clean and smart set up with several different filters that helps the player navigate through the large catalogue of games. The lobby can be filtered by game type, game producers (NetEnt, Betsoft, Microgaming etc), game bundles, most popular games and latest games added to the casino. English is the main language at Get Lucky Casino but the web site is also available in Swedish. The player support is available from 9am to 9pm and you can reach them by live chat or email. The FAQ section is very useful and you can easily find the answers to any casino related query by checking it up in there. Get Lucky Casino is owned and operated by Co-Gaming Limited. They are fully licensed by the UK Gambling Commission, Malta Gaming Authority and the Government of Curacao. 25 No Deposit Free Spins on Starburst at Get Lucky Casino! Are you a Starburst fan? Spin those sparkling reels for free when joining Get Lucky Casino, get 25 no deposit free spins automatically to your account. Note that this offer is only valid for players residing in the following Countries: Norway, Switzerland and Austria. Players residing in the United kingdom can also claim 25 Casino Spins on Starburst upon registration. Click here to check the terms and conditions! Wagering requirements on the no deposit free spins is set to 40 times. Claim your no deposit free spins on Starburst! 100% up to £100 Welcome Bonus for UK players at Get Lucky Casino! New players at Get Lucky Casino is in for a real treat yet very basic and without too much details. It’s a straight forward approach which obviously is a very good thing. If you are residing in the United Kingdom you will get a 100% match on your first deposit up to £100. This means that if you make a deposit of £50 you get a casino balance of £100! 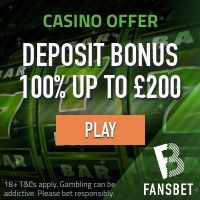 In order to qualify for this bonus your deposit needs to be at least £10. The wagering requirement is 25 times your total balance (deposit amount + bonus amount). Click here to read the terms and conditions! 100% up to €100 Welcome Bonus at for players residing anywhere else! Well, even if you’re not a resident of the UK or Sweden you can still benefit a lot from becoming a member at Get Lucky Casino! As long as you’re not a resident of any of the restricted countries (see above) you will get a 100% match on your first deposit up to €100. The minimum deposit to qualify for this bonus is €10 and the wagering requirement is just 25 times your total balance (deposit amount + bonus amount). Funding of your player account and withdrawing your winnings at Get Lucky Casino is very easy. They accept all the most common payment methods like credit/debit cards, e-wallets, e-vouchers and different direct bank transfer solutions. The transactions are all processed in a safe environment which is secured by the highest standards of SSL Encryption technology. It’s safe and sound to deposit and withdraw at Get Lucky Casino. Get Lucky Casino have a great collection of online video slots. There are more than 500 video slots which are provided by the most successful slot producers available such as NetEnt, Microgaming, Playtech, BEtsoft and Yggdrasil just to name a few. Some of the most popular video slots at Get Lucky Casino are Jack and the Beanstalk, Spinata Grande, Kong, Aloha Cluster Pays, Jungle Jim El Dorado, Viking Age, Secrets of Atlantis and Hugo. USA (including its territories), France (including its territories), Turkey, Sweden, Australia, Curacao, Croatia, Spain, Hungary, Ireland, Romania and Portugal. Join the end of summer casino tournament at Get Lucky Casino and get the chance to win one of the fantastic prizes totalling €50,000. The tournament will take place between Aug 25th – Sept 3rd 2017. The raffle will take place between the Sept 4th- Sept 5th 2017. Click here to get more information on Get Lucky Casino tournament.